“APM Terminals has sought to ease concerns Suffolk logistics businesses would be disadvantaged if it wins a 48-year contract to operate the Port of Virginia. But some local trucking companies are not so sure. Edward O’Callaghan, president of Suffolk-based trucking firm Century Express, is a board member for the Coalition for Virginia’s Port and president of the Tidewater Motor Truck Association. It’s no secret that the second highest recurring cost to most fleets is fuel. At $3.29 per gallon, it is a volatile commodity which is hard to budget for because of price fluctuations. Add to that any outside elements that can have tremendous effect on pricing (such as hurricanes, etc.) and it’s no wonder this topic is on the top of everyone’s expense list. In our ongoing effort to provide added value to independent contractors, Evans has negotiated a Truck Stop Discount Network that includes the major fuel providers across the country including Pilot, Wilco/Hess, Travel Centers of America/Petro and Love’s. Discounts vary, but each is substantial. The more drivers use these participating partners, the more we can negotiate further discounts. How can you help? Driver Education! The more they know – the more they can save! Drivers choose when, where and how often they purchase fuel. They are also aware that using less fuel improves mpg (improving profitability) and reduces emissions. Drivers are more conscious of how they drive and how it affects fuel consumption and they understand the bottom line results of fuel cost savings. They are doing all the right things! 2012-06-Evans Fuel Discount Network to view the participating fuel companies. Strategic Planning Seminar Scheduled for October 20th & 21st. This workshop is designed to help the Agent entrepreneur to think strategically and proactively rather than reactively. By thinking strategically, planning becomes the method to put ideas for growth and profitability into motion. If planned properly, these ideas become a reality rather than a wish list. But a good business plan is only as good as its execution. In the workshop the business plan is developed along with the implementation plan to put it into action. Measures are developed to inform us of how well we are on plan, and if we need to make adjustments. Interested? Contactkim.lorimer@evansdelivery.com today to find out more and sign up! Evans Network of Companies was listed in TransportTopics Top 100 For Hire Carriers at position #83. Transport Topics is published by the American Truck Association. 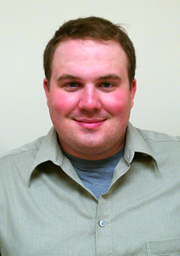 In June 2012 Evans hired Mike Hellam, a 2012 Shippensburg University graduate, as a Business Development Executive. Mike will be responsible for developing new agents for both Evans and West Motor Freight. While attending Shippensburg University Mike was a Dean’s list student while he studied to gain his degree in Logistics. Mike was also a student athlete and a regular attendee at the Council for Supply Chain Management meetings. Please join us in welcoming Mike to the team! Inbound Logistics’ Top 100 Truckers list serves as a qualitative assessment of service providers we feel are best equipped to meet and surpass readers’ evolving truck transportation needs. Distilling the Top 100 is never an easy task. Each year, Inbound Logistics editors select the best transportation providers by carefully evaluating submitted information, conducting personal interviews and online research, and comparing that data to our readers’ burgeoning trucking and logistics challenges. IL editors selected this year’s class of Top 100 Truckers from a pool of more than 250 companies. The service providers we selected are companies that, in the opinion of IL editors, offer the diverse operational capabilities and experience to meet readers’ unique transportation, supply chain and logistics needs. You are currently browsing the Evans Delivery blog archives for October, 2012.